Samsung has launched a series of new ads focusing on Bixby’s features. One of them, titled “Dorm Party”, features a young girl asking her roommate if she wants to go out. 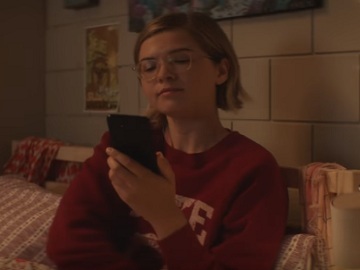 The latter, sitting in bed with her Samsung Galaxy S8 in her hand, seems to need some motivation to join her friend, so she asks Bixby to show her photos from Jason’s last party. After taking a look at some of the 11 pictures found by the all-new virtual assistant, the girl agrees to get out of bed and have some fun, as well. “Whatever you need, Bixby it.” – the voiceover says at the end of the 15-second spot, released with the message “A smarter way to find your favorite photos”. The other spots highlight that Bixby can set a reminder for you, to get doggy breath chews at the pet store, for instance, change a song in Google Play Music for you, turn on the flashlight, take a selfie and post it, reject a call and reply with a text message.